First of all Thank You for your commitment to the game of hockey, without your participation as officials there would be no games. As officials we serve the game for all and while there are playing camps, skating camps, Officials Camps are few and far between. It's with that in mind that I would like to offer you all an opportunity to join me on the ice and in the classroom for a condensed Officials Camp. 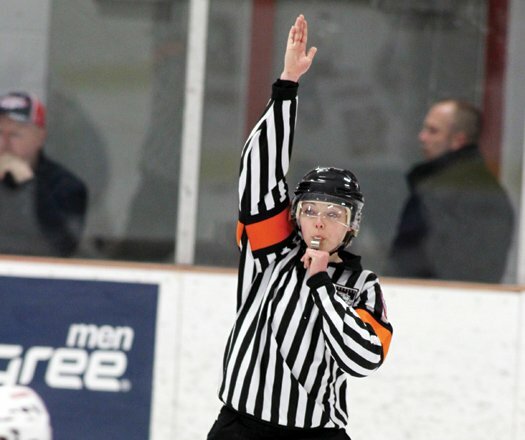 All ages of officials from any association are welcome to attend and thanks to the Mid-Columbia Hockey Officials Association who have subsidizes this camp, the cost is only $10 to you! Additionally, we will share some stories and laughs as we learn a bit more about the little things that will make your games more successful on the ice. Whether you’re a beginning official or a grizzled veteran this program will offer something for everyone. Looking forward to seeing you all there.